In June of 1906 drug store owner Wm. Mead, lead a successful petition drive to pave the 100 block of Second Street. The City Council approved the proposal to share the cost of placing curbs and laying the first brick pavement between Walnut and Pine Streets. Mayor Sidney Wood took the lead into getting merchants in the 200 block of Second Street to pave their street as well, but was met with resistance by those property owners. The 100 block called for 460 linear feet of 6 in curbing and 22,100 linear feet of protection curb, plus 1833 square yards of bricks. The project was begun in late July 1906. The improvement was so noticeable that the property owners in the 200 Block North Second Street changed their minds and petitioned the Council to pave their block as well. The petition submitted for Council consideration also included paving Second Street from Elm Street, (100 Block of South Second Street) to Cedar and then west to the Rock Island Depot. That project was completed that summer. 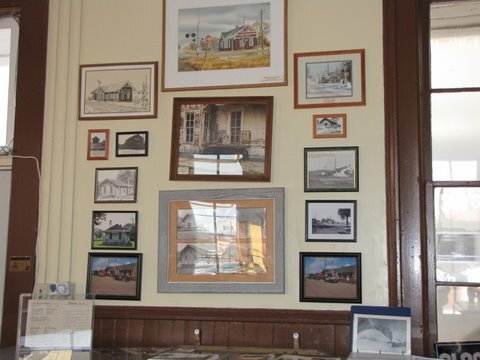 Our main museum and the Rock Island Depot Museum are owned, staffed, and maintained by Chillicothe Historical Society volunteers and friends of the Society. The Rock Island Depot Museum is located at the corners of 3rd St.at Cedar St.
General Meetings are scheduled on the 1st Thursday of the Month starting at 7:00 PM. Changes pertaining to time and dates will be posted on the ‘Announcements’ page on our Web Site.